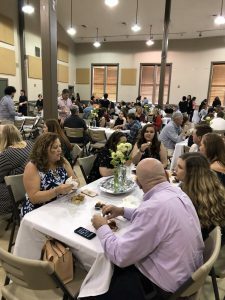 The Zeta Eta Chapter of Alpha Delta Pi hosted a wonderful “Night for Ronald” event benefiting Ronald McDonald House Charities of Alabama (RMHCA) on April 21. 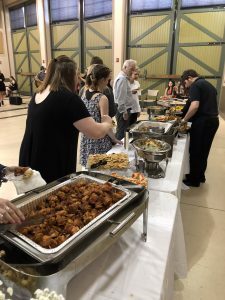 Held at the Tuscumbia Depot and Roundhouse, attendees enjoyed live music from The Cole Nichols Band, a silent auction and a delicious dinner catered by Southern Skillet Catering. RMHCA is grateful to Zeta Eta and the 200 people who made the event a success! 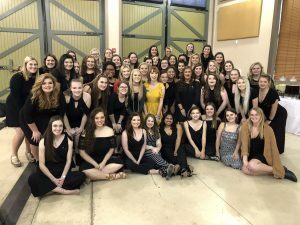 According to Zeta Eta Philanthrophy Chair Georgia Claire Varble, more than $3,000 was raised to benefit RMHCA and the mission of keeping families together when a child is sick or injured and needs the support of their family. 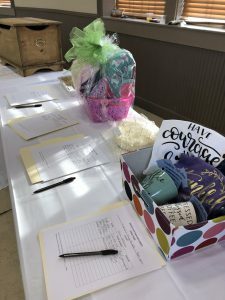 Local businesses and chapter members donated items for the silent auction and the most sought-after item was a $200 gift card to a Shoals-area boutique called Markethouse. RMHCA is so grateful to each Zeta Eta for their efforts! You can check our events calendar regularly for more community events. 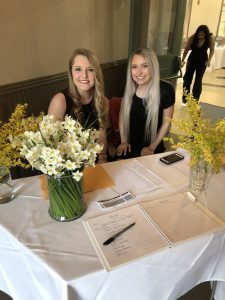 Interested in hosting your own event to benefit RMHCA? Start here to get more ideas and fill out the community fundraiser registration form.